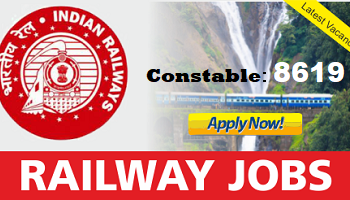 RPF Constable Recruitment 2018 – Apply Online for Latest Railway 8619 Constable @ constable.rpfonlinereg.org/ The Railway Protection Force (RPF) notification is expected to release soon for 9,500 vacancies, in which 50% seats will be reserved for women. Earlier it is expected that the number of vacancies will be 19,552 but don’t worry at least the most awaited Railway Protection Force Recruitment 2018 process ally going to start very soon. Before we get to know about the complete online application process candidates have to start submitting the RPF Online Application form for year 2018. rpf recruitment official website rpfonlinereg.co.in. Before that you should know about its Eligibility Criteria, Application process etc. First of all, every candidate has to know about RPF Recruitment2018 eligibility Criteria and how to apply online for the constable post. This information will be a plus point for all those candidates who are looking for Jobs in RPF/RPSF. Here we are also providing the upcoming RPF Vacancy 2018 Complete information. Just after confirming this recruitment related detail any candidate can submit the RPF Constable Recruitment 2018 online application form as soon as without going through much trouble. Get complete guidance here for RPF constable Recruitment 2018 before the launch of Official Notification.